Robot Training - Olympus Technologies - Need robot training? Call us. 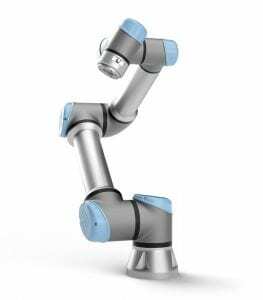 Olympus Technologies is able to provide flexible robot training programmes for both Reis and Universal Robots systems. Robot training courses are available for basic programming and more advanced topics. Our on-site facilities are set up with various devices to easily demonstrate the interfacing and programming mechanisms available for communication with peripheral equipment. We have created a number of interesting exercises to aid hands-on learning and provide a detailed knowledge of the systems we supply. We believe the best way to learn is for you to take control of the pendant yourself, so our courses are always heavily biased towards practical hands-on exercises. Olympus are focussed on providing the most beneficial training experience for you. We always ask participants to fill in a course evaluation form so that we can incorporate any comments next time. We believe this allows us to offer you the most valuable training possible. Advanced training is normally conducted on a more specific basis to cover the topics you want to know more about. KUKA training is provided by KUKA UK in Birmingham.